Texan Regional Center, LLC ("TRC") is the General Partner of EB-5 Limited Partnerships ("ELPs"). ELPs are new commercial enterprises formed for the purpose of financing a job-creating new real estate developments within the geographic designation for TRC. The Partnerships are managed by TRC on behalf of the foreign investor members. ELPs will receive at-risk equity investment from EB-5 investors, who will be Limited Partners and co-owners in the Limited Partnership. The Limited Partnership will issue the full amount of equity investment as a loan into the Project. The General Partner is a USCIS approved EB-5 Regional Center under the Immigration Investor Pilot Program for the specific purpose of investing EB-5 funds into targeted commercial enterprise located in the geographic area which includes the Counties of Harris, Fort Bend, Montgomery, Brazoria, Galveston, Liberty, Waller, Chambers, Austin and San Jacinto within the State of Texas. Qualified immigrants investing through a regional center receive a conditional green card valid for two years. The initial process typically takes approximately two years for an EB-5 applicant to receive a conditional green card. The investor, spouse and unmarried children (under age 21 at the time of petition) can then apply for permanent residency based on investment. If approved, the investor and his immediate family become permanent green card holders and can later apply to become U.S. citizens. Upon receipt of conditional permanent resident status, the investor and immediate family are entitled to the same benefits as other lawful permanent residents. 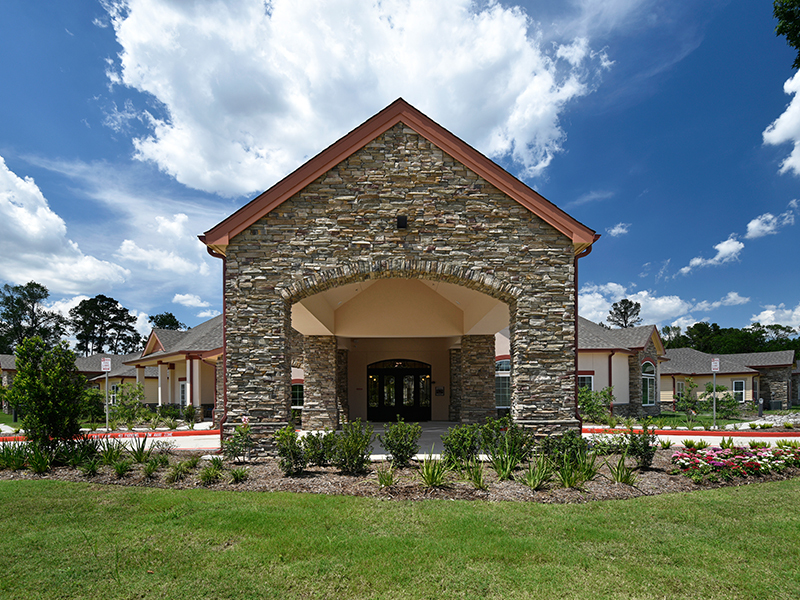 Steven Lopez is the CEO of Kingfisher Senior Living, LLC, a 102 bed Assisted Living & Memory Care Facility in Spring, TX. He is also the CEO of Texan Regional Center, a USCIS approved EB-5 Regional Center under the Immigration Investor Pilot Program. Mr. Lopez was the founding CEO of Juristrust which provided commercial and residential real estate services to over 2,000 licensed real estate attorneys. Mr. Lopez was also a co-founder of New Vista Solutions, a privately owned company which provides vendor management and title services to 250+ banks and credit unions. Mr. Lopez has worked with clients across the country funding commercial and residential real estate projects, including new construction. 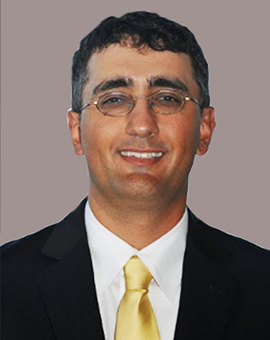 Mr. Lopez received his undergraduate degree from the University of Michigan and is a graduate of Vanderbilt Law School. 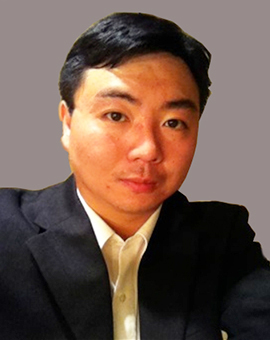 Ian Wu is the CFO of Kingfisher Senior Living, LLC, a 102 bed Assisted Living Facility in Spring, TX. In addition to co-founding Texan Regional Center, New Vista Solutions, and Juristrust with Mr. Lopez and serving as COO and CFO for respective companies, Ian also has had extensive experience in both market and financial analysis, ranging from performing national market analysis for corporations like AT&T and Coca-Cola to analyzing the financial viability of start-up companies. Ian graduated from Yale University with degrees in both Economics and Computer Science. He also holds a J.D. from the Vanderbilt University School of Law. Veronica was appointed Co-President of CSC Group in 2015 to lead its international expansion into the United States, and is a Managing Partner of Hone Capital. After spearheading Hone's partnership with AngelList, she co-led investments in hundreds of high quality technology companies. 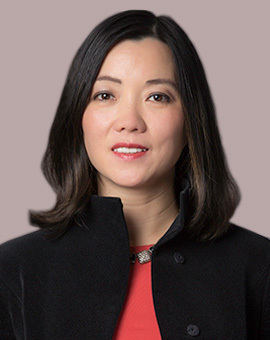 Prior to Hone Capital, Veronica served as Vice President of Tesla Motors overseeing its China Operations, and launched the company into China in 2014. Prior to Tesla, Veronica led the launch of Apple's Education and Enterprise business in China from 2006-2013. Previously, Veronica held senior positions at Motorola and McKinsey & Company. Veronica holds a BS from Yale University in Applied Mathematics, and an MS & PhD in Industrial Engineering Operations Research from UC Berkeley. Jay Bhalodia is a Director of the JHP Galaxy Group, one of the oldest and leading business groups of Rajkot, Gujarat. The diversified Business Group has interests in the fields of Manufacturing, Real Estate Development, Entertainment and Construction. The group is also a major player in the Non-Profit Education sector via The Galaxy Education System. Jay has previously worked in the USA for LexisNexis and Anthem and has extensive experience in the field of Economics and Finance. Jay holds a Bachelor’s Degree from the University of North Carolina – Chapel Hill and a Master’s Degree from Vanderbilt University. Texan Regional Center, LLC ("TRC") is the General Partner of Limited Partnerships, LP, ("LPs"). The LPs are new commercial enterprises formed for the purpose of financing job-creating new real estate developments within the geographic designation for TRC. The Partnerships will be managed by TRC on behalf of the foreign investor members. LPs will receive at-risk equity investment from EB-5 investors, who will be Limited Partners and co-owners in the Limited Partnership. The Limited Partnership will issue the full amount of equity investment as a loan to the Project Developer and Operator. 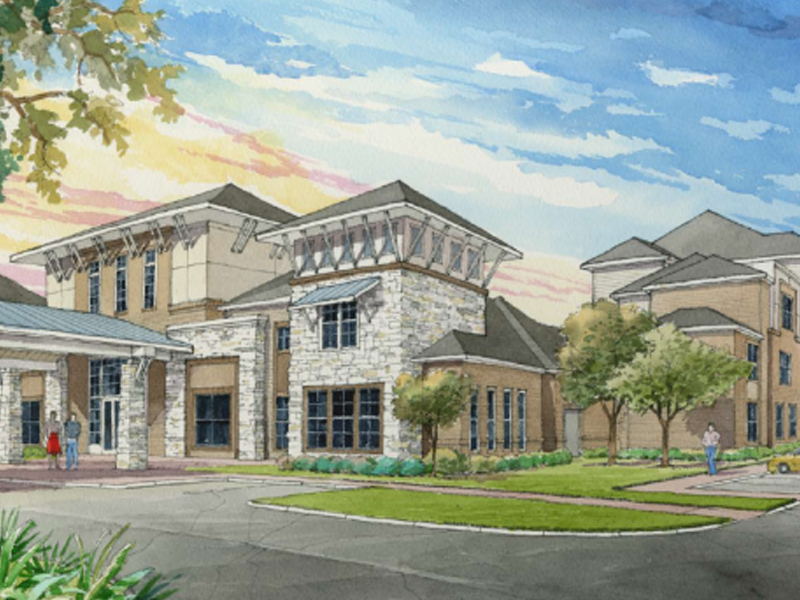 Assisted Living & Memory Care which is operational. Only 7 EB-5 slots available! Call for details. TUCSON, Ariz. – On April 8, 2019, Rogelio Aboyte Limon, 47, of Bacum, Mexico, was sentenced by U.S. Senior District Judge Raner C.
BANGOR, Maine - United States Attorney Halsey B. Frank announced that Marena Mushero, 28, recently of Hampden, Maine, was sentenced yesterday in U.S.
RALEIGH, N.C. – Robert J. Higdon, Jr., U.S.
As part of the agency’s efforts to streamline requests for case assistance, we are discontinuing the use of USCIS service center e-mail boxes for case-specific questions on Jan. 21, 2019. WASHINGTON—U.S. Citizenship and Immigration Services (USCIS) has reached the congressionally mandated H-2B cap for the first half of fiscal year (FY) 2019. Six women from Sub-Saharan Africa married defendant to gain legal status in U.S.
NEW HAVEN, Conn. – John H. Durham, United States Attorney for the District of Connecticut, Peter C.
TUCSON, Ariz. - On Aug.
WASHINGTON— U.S. Citizenship and Immigration Services (USCIS) today announced the agency will celebrate Constitution Day and Citizenship Day, observed on Sept.
On Sept. 17, the nation observes Constitution Day and Citizenship Day as part of Constitution Week. The commemoration honors both the signing of the Constitution on Sept.
On July 4, we celebrate our nation’s 242nd birthday and the day the Continental Congress adopted the Declaration of Independence in 1776. Release Date: June 7, 2018PHOENIX— U.S. Citizenship and Immigration Services (USCIS) played an integral part in yesterday’s sentencing of Ali Vahdani Pour. Sentencing Related to CW Applications for Foreign WorkersSAIPAN, Northern Mariana Islands – This week, U.S.
WASHINGTON - U.S. Citizenship and Immigration Services (USCIS) announced today that the agency will begin phasing in use of the U.S.
LOS ANGELES – This week, two immigration fraud perpetrators were sentenced to prison due to the considerable efforts of the U.S.
HARTFORD, Conn. — The efforts of U.S. Citizenship and Immigration Services (USCIS) led to the successful sentencing of a former Stamford resident today. John H.
Albany, N.Y. — The efforts of U.S. Citizenship and Immigration Services (USCIS) led to a successful conviction in a marriage fraud case. WASHINGTON— On Feb. 21 U.S. Citizenship and Immigration Services (USCIS) began receiving H-2B cap-subject petitions for the second half of fiscal year 2018. WASHINGTON— On Feb. 21, U.S. Citizenship and Immigration Services (USCIS) began receiving H-2B cap-subject petitions for the second half of fiscal year 2018. “In my short time as director of USCIS, I continue to be impressed by the commitment and dedication that employees throughout the agency have shown toward our common goals. Orlando, Fla. – U.S. Citizenship and Immigration Services (USCIS) assisted in an investigation that led to U.S. District Judge Paul G.
WASHINGTON – The Department of Justice yesterday filed a complaint in the Eastern District of Michigan to revoke the naturalized U.S.
WASHINGTON - U.S. Citizenship and Immigration Services (USCIS) announced today that it will now accept credit card payments for filing most of its forms. On Jan. 5, Judge Stanley R. Chesler of the U.S. District Court for the District of New Jersey entered an order revoking the naturalized U.S.
U.S. Citizenship and Immigration Services has reached the congressionally mandated H-2B cap for the first half of fiscal year 2018. WASHINGTON — U.S. Citizenship and Immigration Services (USCIS) resumed premium processing today for all H-1B visa extension of stay petitions. WASHINGTON – Based on a new information-sharing partnership between U.S.
WASHINGTON — U.S. Citizenship and Immigration Services (USCIS) is no longer accepting petitions from U. S.
WASHINGTON — U.S. Citizenship and Immigration Services (USCIS) resumed premium processing today for all H-1B visa petitions subject to the Fiscal Year year (FY) 2018 cap. WASHINGTON— U.S. Citizenship and Immigration Services (USCIS) will celebrate Constitution Day and Citizenship Day, observed on Sept.
LOS ANGELES—Thanks to the investigative efforts of U.S.
WASHINGTON — U.S. Citizenship and Immigration Services (USCIS) will resume premium processing for certain cap-exempt H-1B petitions effective immediately. Citizenship candidates take the Oath at public parks and historic landmarks nationwide. On July 4, we celebrate our nation’s 241st birthday and the day the Continental Congress adopted the Declaration of Independence in 1776. WASHINGTON— Sekretè Sekirite Enteryè John F.
TAMPA, Fla. — U.S. Citizenship and Immigration Services (USCIS) assisted in an investigation that led to U.S. District Judge Charlene E.
LOS ANGELES — U.S. Citizenship and Immigration Services (USCIS) assisted in an investigation that led to a federal jury finding Jason Shiao guilty in a marriage fraud scheme. WASHINGTON - U.S. Citizenship and Immigration Services has reached the congressionally mandated 65,000 visa H-1B cap for fiscal year 2018. Celebrating On February 20, we celebrate Presidents Day to honor the birth of our nation’s first president, George Washington, and all presidents who have led this country. WASHINGTON—U.S. Citizenship and Immigration Services (USCIS) will honor Presidents Day by welcoming more than 25,000 new U.S. The Department of Homeland Security (DHS) is amending its regulations governing the requirements and procedures for victims of human trafficking who seek T nonimmigrant status. CNMI — To allow immediate relatives of U.S. citizens and certain “stateless” individuals to maintain legal status in the CNMI, U.S.
WASHINGTON — U.S. Citizenship and Immigration Services (USCIS) is celebrating Constitution Day and Citizenship Day, observed on Sept.
WASHINGTON—Beginning June 8, 2016, U.S.
WASHINGTON — Simula Hunyo 8, 2016, ang U.S.
WASHINGTON—Mariela Melero, associate director for Customer Service and Public Engagement at U.S.
WASHINGTON – U.S. Citizenship and Immigration Services (USCIS) has reached the congressionally mandated H-1B cap for fiscal year (FY) 2017. MIAMI - U.S. Citizenship and Immigration Services (USCIS), District Director, Linda M.
WASHINGTON—U.S. Citizenship and Immigration Services (USCIS) today announced a series of enhancements to make its website and online products easier to use on mobile devices. On February 15, we celebrate Presidents Day to honor the birth of our nation’s first president, George Washington, and all presidents who have led this country. 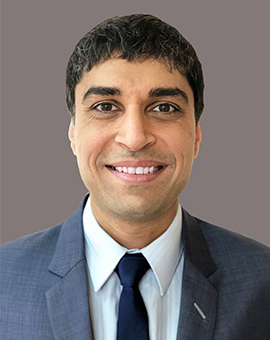 COLUMBUS, Ohio – A United States District Court jury convicted Maqsood Haroon, 41, of Columbus, Ohio, of unlawful procurement of citizenship or naturalization. NEW YORK—Preet Bharara, the United States Attorney for the Southern District of New York and Glenn Sorge, Acting Special Agent-in-Charge of the New York Office of U.S.
Each year, on Nov. 11, the nation honors past and present members of the United States armed forces for serving our country and defending our freedoms. On Sept. 17, the nation observes Constitution Day and Citizenship Day, as part of Constitution Week. The commemoration honors both the signing of the Constitution on Sept.
WASHINGTON -- Sekretè Sekirite Enteryè Jeh Johnson pwolonje nominasyon Ayiti pou Stati Pwoteksyon Tanporè (Temporary Protected Status, TPS) pou yon lòt 18 mwa. WASHINGTON—Secretary of Homeland Security Jeh Johnson has extended Haiti’s designation for Temporary Protected Status (TPS) for an additional 18 months. The extended designation is effective Jan.
SAN FRANCISCO – Buyantod Thomas was sentenced on July 9, 2015, to six months in prison, for aiding and abetting the submission of fraudulent asylum applications at the U.S.
JACKSONVILLE, Fla. – The efforts of U.S.
On July 4, we celebrate Independence Day – the day the Continental Congress adopted the Declaration of Independence in 1776. BOSTON – U.S. Citizenship and Immigration Services (USCIS) Director León Rodríguez and Boston Mayor Martin J.
WASHINGTON – U.S. Citizenship and Immigration Services (USCIS) has reached the congressionally mandated H-1B cap for fiscal year (FY) 2016. On Feb. 16, we celebrate Presidents Day to honor the birth of our nation’s first president, George Washington, and all presidents who have led this country. WASHINGTON—U.S. Citizenship and Immigration Services (USCIS) will honor Presidents Day by welcoming approximately 5,000 new U.S.
WASHINGTON—U.S. Citizenship and Immigration Services (USCIS) will highlight service members, military spouses and veterans taking the Oath of Allegiance to become U.S.
WASHINGTON - Secretary of Homeland Security Jeh Johnson will extend Temporary Protected Status (TPS) for eligible nationals of Nicaragua for an additional 18 months, effective Jan.
WASHINGTON—Secretary of Homeland Security Jeh Johnson has extended Temporary Protected Status (TPS) for eligible nationals of Honduras for an additional 18 months, effective Jan.
WASHINGTON—U.S. Citizenship and Immigration Services (USCIS) will welcome more than 27,000 new citizens in more than 160 naturalization ceremonies between Sept. 17 and Sept.
Constitution Day and Citizenship Day is celebrated each year on Sept. 17 in remembrance of the signing of the U.S. Constitution in 1787. A. Currently the minimum EB-5 investment amount is $500,000. There is also a $50,000 administration fee and a $15,000 attorney fee. In addition there are USCIS filing fees. How long does the entire process take before I receive my permanent green card and I can apply for U.S. citizenship? That depends on your country of origin. Normally the process takes 6-7 years. However, due to the popularity of the EB-5 program in China the process can be substantially longer for Chinese EB-5 investors due to the backlog. No. USCIS requires that all funds be traceable to a legal source. What if my H-1 visa expires while I am waiting for the temporary green card through the EB-5 process? You would need to go return to your home country or country of residence and process through the Embassy as opposed to adjusting status here in the US. The exception would be if you qualify to extend your H-1 status or change to another non-immigrant status. We can screen for that if needed. For Indian EB-5 investors processing immigrant visas through the Embassy can be done quickly since there is presently no visa bulletin backlog for EB-5 India. Do my spouse and children qualify? Yes. The EB-5 investor, spouse, and any children under the age of 21 at the time the application is received by USCIS qualify. No additional EB-5 investment is required for the spouse and children. How much can I save per child by having in state tuition for college? That varies depending on the college. At the University of Texas in Austin the in state tuition for their undergraduate program is presently $5,207 per semester and the out-of-state tuition is 18,492. That's a difference of $13,285 per semester or $106,280 for all 8 semester (4 year degree). Can I get a loan for the EB-5 investment? Yes, however any loan has to be secured with the investor's personal property or the funds won't be considered "at risk." For example, some investors do cash out refinances of their primary residence. Does renewing a tourist visa effect an EB-5 application? This depends on the context. The EB-5 can proceed regardless of whether someone has a tourist visa or not. A person might be denied a tourist visa if they have an EB-5 case pending. A person may be found to have committed fraud in the tourist visa process if they answer "no" to questions on the DS-160 about whether an immigrant petition has ever been filed for them (because if there is an I-526 filed, the answer should be "yes"), and the fraud might stop them from getting their immigrant visa even after the I-526 is approved. How long until I get my temporary green card and I can move to the United States? A. That depends on your country of origin. Currently it takes approximately 24 months for EB-5 applicants to receive their temporary green card. However, due to the popularity of the program in China there is a significant backlog for Chinese investors and it can be up significantly longer. Can you guarantee my investment? No, USCIS requires that the money be "at risk". Any guarantees would prevent EB-5 investors from becoming U.S. citizens. What if I am on an H-1 visa... can I still apply for an EB-5 visa? What happens if my initial I-526 application is rejected? Your investment will be returned as soon as possible. Your attorney fees will also be reimbursed. The admin fee is not reimbursable. Will my children qualify for in state tuition if I have a green card? Yes. If you meet the minimum residency requirement your children will qualify for the in state tuition at U.S. colleges. For example, at the University of Texas non-citizens and non-permanent residents qualify if they have an application for permanent residency on file with the U.S. Citizenship and Immigration Service and meet the minimum residency requirements (e.g., domiciled in Texas for at least 12 months). Can someone gift me the funds for the EB-5 investment? Yes. However, they will have to go through the normal process of proving the source of those funds. That means they will have to establish that those funds came from a legitimate/legal source. 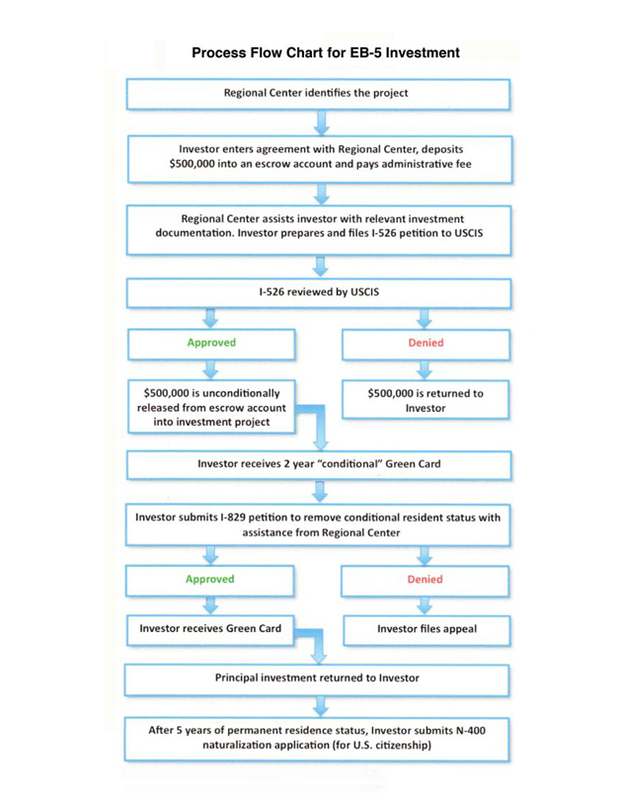 Can a corporation gift funds for my EB-5 investment? This would depend on the context of the situation - is the corporation owned by a family member, etc? Our immigration attorney would be happy to review any proposed corporate gifts. What if I have over stayed my L1 or H1 visa? This could have negative consequences depending on the length of time you have over stayed your visa. You would need to consult with our immigration to attorney to determine whether it would prevent you from applying for an EB-5 visa. Once the EB-5 investor gets the conditional green card and moves to the Unites States, how long can they stay outside of the United States and still qualify to apply for United States Citizenship? A lawful permanent resident (LPR) may apply for naturalization to become a U.S. citizen if he or she has been an LPR for at least five years (time in conditional status counts toward the five-year period) and has been physically present in the United States for at least two and a half years without any single period of absence exceeding 180 days. In order to become a U.S. citizen they must also demonstrate good moral character (no criminal convictions), must read, write, and speak English, and must pass a test on U.S. history, government, civics. They must be loyal to the United States and understand and agree to take the Oath of Allegiance to the United States. After I get my permanent green card how long does the naturalization process take to become a United States citizen? After the immigrant investor becomes a U.S. citizen, how long before they can sponsor their parents for green cards? And how long will it take before the parents can move to the United States? They can sponsor their parents immediately after they become U.S. citizens. The process to sponsor parents usually takes approximately 1.5 years and then the parents can move to the United States. We invite you to learn more by contacting us. Copyright 2019 © Texan Regional Center, LLC. All rights reserved.